A beautifully presented and recently refurbished one bedroom ground floor maisonette located in a cul-de-sac within the ever-popular residential area of Bewbush, close to local amenities and Ifield train station. Entering through the side door you are greeted with a spacious porch with a large storage unit to front and an inner door leading to a large lobby area giving access to all rooms, as well as access to a large and useful storage cupboard. The open plan living/dining accommodation is of a particularly good size with doors opening out to the large, south facing, rear garden. There is ample space for a dining table and chairs with a large window to the rear allowing in plenty of natural light. The kitchen comprises with a range of wall and base units incorporating cupboards and drawers with work tops over, integrated appliances including: Electric oven with ceramic hob, extractor hood above and space for fridge/freezer. The bedroom is to the rear of the property and is a very good-size double room with window to the rear and a large triple wardrobe with sliding doors. Finally, the bathroom is fitted in a white suite comprising of a panel enclosed bath with shower attachment and shower screen, pedestal wash hand basin, low level WC and is tiled throughout. Outside, the property benefits from a spacious rear garden which is mainly laid to a courtyard style with space for a large garden shed and gated access. At the front of the property you are greeted with a large communal parking area with scope to convert the front garden into a private driveway. 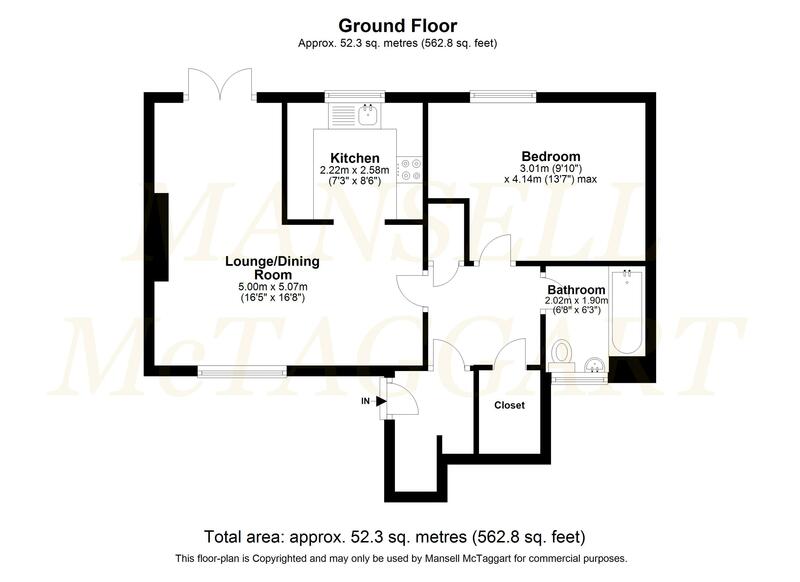 Internal viewings are highly recommended as this maisonette can be offered with no onward chain, subject to negotiations, and would suit both investors and first-time buyers alike. The property is situated in a delightful position on the edge of Crawley, within a short walking distance of Ifield Golf Course, Ifield Millpond Site of Nature Conservation Importance and a Tesco Express. It is also a short walk to Ifield railway station and a short drive to Crawley town centre with its extensive range of shops, inns, recreation facilities, schools and bus and railway stations (Victoria/London Bridge approx. 35 minutes). Gatwick Airport and Junction 11 of the M23 are also within easy reach. Schools Waterfield Primary School, The Mill Primary Academy, St Margaret’s C of E Primary, Ifield Community College, Holy Trinity School. Ground Rent and Maintenance Charges - Peppercorn £240.00 per annum Lease Details have been provided by the Vendor. This information should be confirmed by your solicitor.